Good news, bad news: We're living longer, but extended lifespans also make us more susceptible to chronic diseases like cancer, diabetes and heart disease. 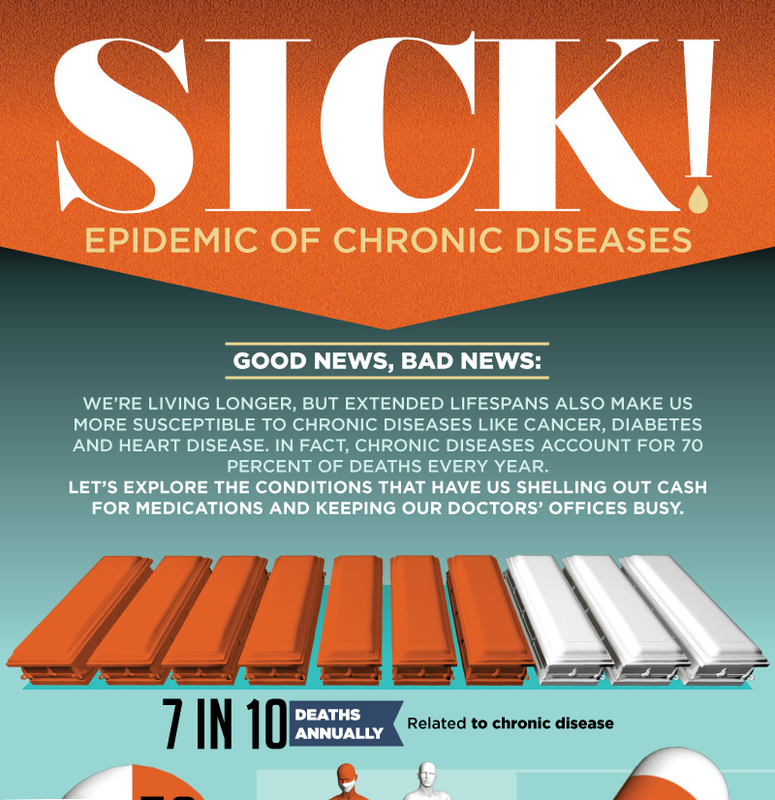 In fact, chronic diseases account for 70 percent of deaths every year. Let's explore the conditions that have us shelling out cash for medications and keeping our doctors' offices busy. - Heart disease has been the single biggest killer of Americans every year since 1920. - Heart attacks annually in the U.S.
- Many chronic conditions have a root in lifestyle decisions, from obesity to smoking. And many of those conditions can be treated - or even prevented by changing behavior. - Adults who are obese Excessive alcohol consumption is the third-leading preventable cause of death in the U.S., behind diet and physical activity and tobacco.